Virat Kohli's expression during the India vs Bangladesh match soon became a meme on Twitter. Virat Kohli sticking his tongue out in celebration is definitely meme-material. 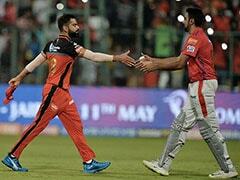 Anything and everything that Virat Kohli does is news, but is it all meme-worthy? Well, his hilarious expression during the India vs Bangladesh semi-final of the ICC Champions Trophy today definitely was. After taking a catch to dismiss Bangladesh batsman Mushfiqur Rahim, Kohli celebrated by sticking his tongue out in happiness. An expression, he did not know then, that would very soon become a wonderful meme. 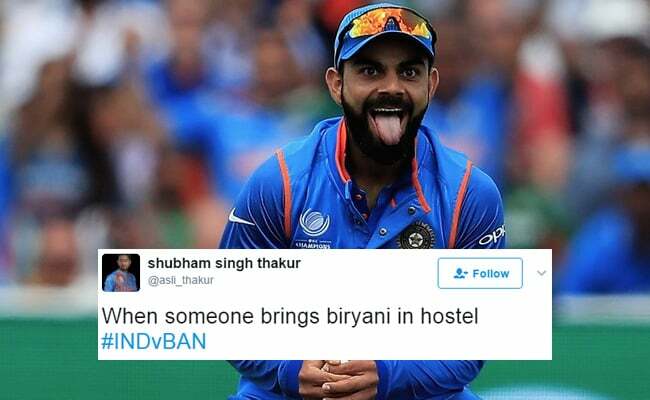 Kohli's hilarious tongue-out face quickly became a Twitter favourite as people began to think of hilarious captions. In no time at all, the Kohli meme was born. Which meme is your favourite? Let us know using the comments section below.